This week the SECollective look forward present a star studded Big Band! 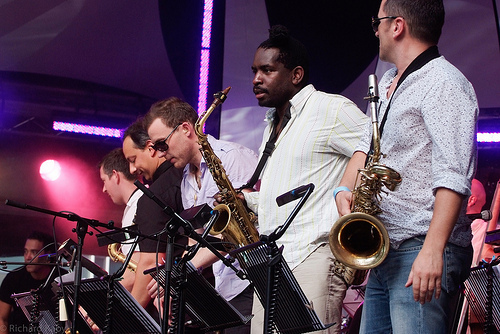 Led by saxophonist Paul Booth and featuring many stars from the London jazz scene, Basangu Orchestra Big Band are a melting pot of world influenced original music! This should be an amazing gig so we look forward to seeing you all down at the Amersham Arms on Tuesday! !